Encinitas Library A North San Diego County Coastal Paradise for the Books Nuts in Encinitas Ca. Encinitas Library Is A Wonderful Paradise for the Books Nuts in Encinitas Ca. Encinitas is a beautiful coastal town in the North San Diego County Coastal. Being one of the well-known surf towns in the world, Encinitas has its rich surf history. Set along 6 miles of the Pacific Ocean coastline, it acts as a beautiful reminder of the historic Highway 101 beach culture that flourished in the in the 60's and 70's. The eastern part Encinitas is the estate area of Olivenhain where you can find homes with acreage and horse are allowed. People of all ages Learn and Explore at The Encinitas Library is a beautiful spot sits on a hill with views to the ocean. It aims to educate, inform, motivate and entertain and teach. 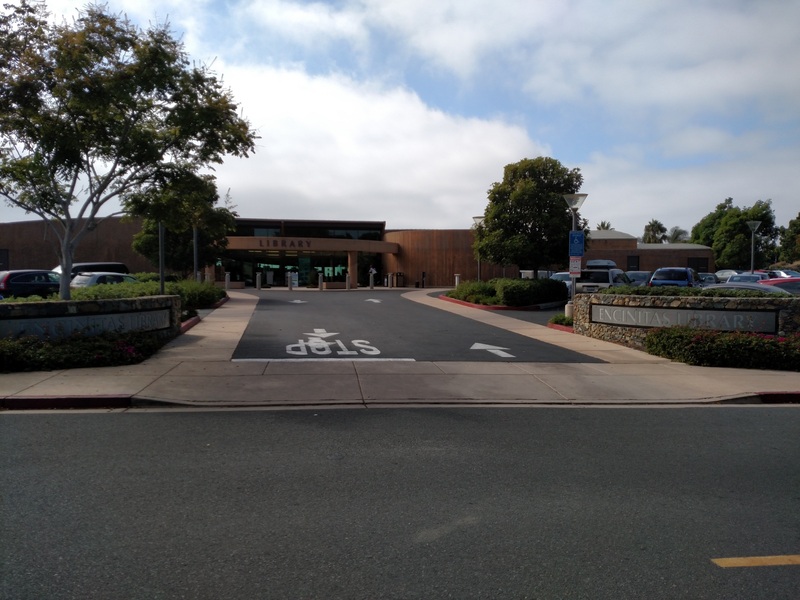 Located at 540 Cornish Drive, between “D” and “E” Streets, and two blocks east of highway 101, Encinitas Public Library is opened in the year 1959, with the Friends of the Library starting at the suggestion of Elena Countryman in the year 1980. This tremendous award-winning library opened in the February 2008. Friends of the Encinitas Library aim to support the Encinitas Library that strives hard to promote literacy by motivating the passion of reading and lifelong learning. It also helps to improve the resources of the library, offering a friendly meeting place for readers, and give the easy access to the knowledge of all kinds. Being a part of the San Diego County Library System, it gets the extra support from the City of San Diego. This state-of-the-art library was developed on Cornish Drive site above the Downtown area of hwy 101, with superb panoramic views of the Pacific Ocean. In the year 2002, Encinitas voted for the new library that would be constructed on the bluff-top perch on Cornish Drive or transported to a more central location east of Interstate 5. The people voted in favor of the library above downtown on Cornish. In 2004, construction started on the library, and the new branch was soon to be completed. The 27,798 square-foot building was completed in 2008. Encinitas Library organizes a lot of hosting programs for the adults from financial planning to the Musical Spanish story time. When partnered with the group such as MiraCosta College, it also hosts other programs like as computer literacy classes, English as Second Language classes (four times every week), music courses, and more. This library stock gets updated from time to time, i.e., you will find new DVD catalogs and exciting books every time to visit. It's a beautiful place to visit, and the best part is that the view from the reading terrace is just amazing. Fantastic Jewel Encinitas Library is excellent for children, preschoolers, and adults to learn about books and develop gain in-depth knowledge on subjects of interest. The Library offers a lot of computers for work and research. If you want to buy a book, Friends of the Library Bookstore is available at the reasonable rates just outside the front door. It’s the famous site for the local people and best for the avid readers. Library store has books well arranged in categories to make easy browsing. Usually, the bookstore is busy, so if you need your favorite book, you need to hurry up. Beautiful Library with Outside Patio and View the Ocean, Relax at the Encinitas Library it is a beautiful model of the community. You could say it’s more like a resort. The terrace area of The Encinitas Library is the best part as you can read, visit, talk, eat your lunch in the open with the ocean view without getting disturbed. You can be outside and enjoy the spectacular views from the grassy hills on the south side of the property too. The library sits on the prime ocean view Encinitas real estate parcel next to the city municipal offices, in fact, the west wall is lined and view and wind breaking glass with comfy chairs and tables. It is also a popular hub for the aspiring creatives and residents.